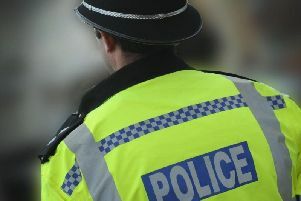 Robbers raiding a petrol station in Horsham in early hours of this morning (July 6) were interrupted by passing police officers, Sussex Police have confirmed. Two men in balaclavas targeted the Tesco Express, in Redkiln Way, shortly before 12.30am. Officers said a patrol car pulled into the garage as the pair were in the process of stealing from the store. Officers called for backup but one of the robbers managed to escape. The petrol station was cordoned off for several hours this morning whilst officers carried out investigations . Anyone with any information concerning the incident to contact Sussex Police online or by phoning 101, quoting Operation Latch. Alternatively, contact Crimestoppers or phone the independent charity anonymously on 0800 555111.